All the performance, design and awesomeness of the Original Phatty - the Phatty Sport is 20 pounds lighter with shorter handle bars and a frame for smaller riders up to 6'.A 100% electric scooter designed to give you the comfort and versatility you need to go anywhere you want, all while looking the part - that's true freedom. Experience the road like you never have before and customize your Phatty Sport (fat tire scooter) today - an electric scooter never rode and looked this good, until now. A working Phone Number will be required for ALL ORDERS. If one is not provided, your order will be cancelled. COMFORTABLE RIDE delivered by a wide saddle, premium hydraulic shocks, vibration absorbing wide tubeless tires and a 6 inch ground clearance. 30 degree hill climbing capacity is unmatched. ELECTRONIC ADVANCED BRAKES and hydraulic discs provide safety and control. An ultra bright led headlight with daytime running feature makes sure you see and are seen. Beach, Golf Course, Bike Lane driving modes can be used in most terrain types. EFFICIENCY & PERFORMANCE fast & easy charging in as short as 4-6 hours with standard 110V, maximum range 30-50 miles with a top speed of 20 mph. *Range varies on weight of rider and terrain. EXPRESS YOUR STYLE with custom fender and deck options. Sport model is 20 pounds lighter with shorter handle bars and a frame for smaller riders up to 6'. GUARANTEED battery for six months and parts for 1 year. 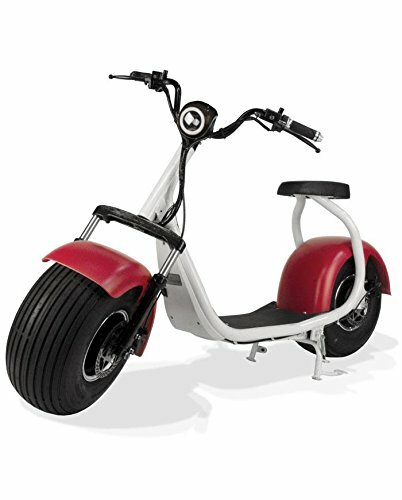 If you have any questions about this product by PHAT SCOOTERS, contact us by completing and submitting the form below. If you are looking for a specif part number, please include it with your message.